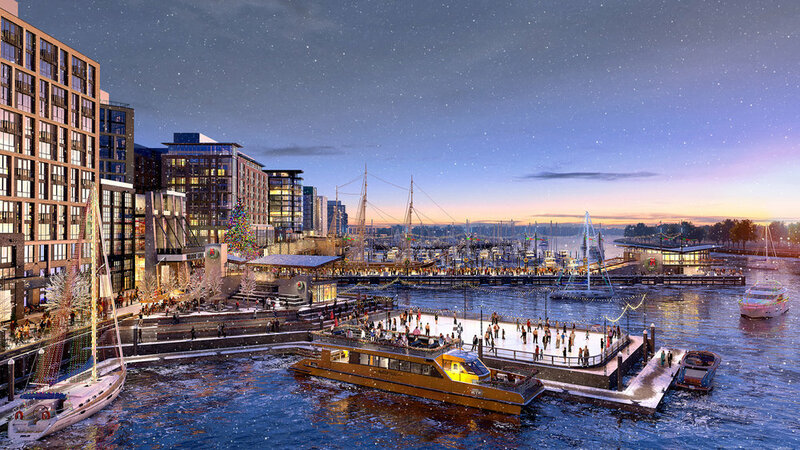 The Channel is the name of the apartment homes now leasing on the waterfront at the new Wharf DC Development. What’s so incredibly cool about The Channel is that the apartments are built literally on top of a 5,000 seat concert hall. Seriously. You can just walk to the elevator after a show, push the button for your floor, and you’re home just like that. Oh, and there’s the fact that 6th floor has a 1+ acre of greenspace, bocce courts, herb garden, pool with acrylic floor so you can see up through it from the lobby below, and an infinity edge that spills over to be the backsplash of the bar 2 stories below. Since the lifestyle is music-based (living on top of the The Anthem concert hall), and having so many dynamic amenities and options of things to do, we liked the idea of The Channel giving you the ability to live life amplified. So Gaga branded The Channel. From the wood crate, stencil-like logo, to the tagline: LIVE, LIFE AMPLIFIED, to the sales brochures, web site, we made it sing. The brand perfectly captures the lifestyle of the type of person who will live at The Channel: someone who is really tuned on to arts, music, culture, fitness, food and drink. Amplified living. We love it. And as far as we know, residences at The Channel are selling at a really high volume!!! LOCAL DOCUMENT MANAGEMENT/IT SERVICE SUPPLIER AND GAGA CLIENT GETS ITS LOGO SHOWN WORLD-WIDE. NFL RAVENS DEAL PAYS OFF FOR ADVANCE. 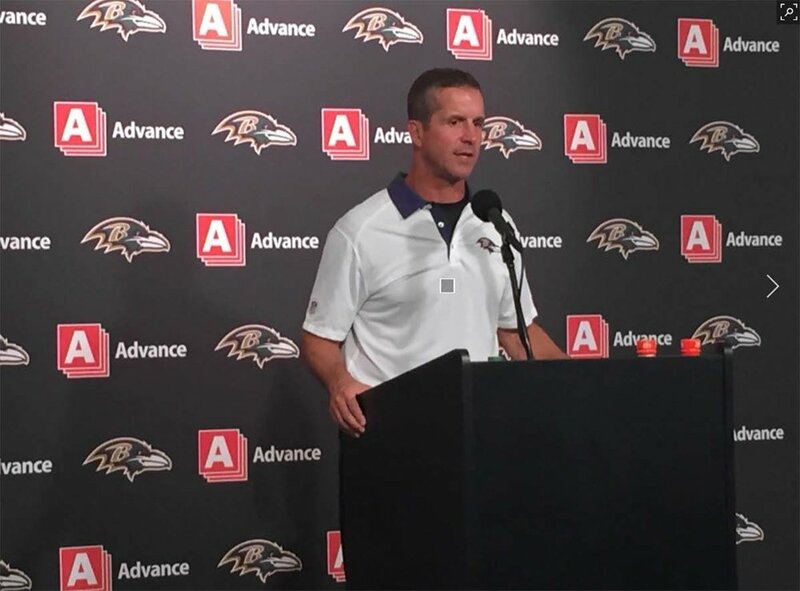 When watching an away game press conference for the Baltimore Ravens, the viewer invariably see’s the Ravens iconic birdy head logo in the background gridded in nicely with another icon, the Advance logo. A sweet deal considering one of Advance's marketing goals is to communicate that, although local, you get global service when working with them. As you can see, the Advance logo really jumps out thanks to Gaga’s redesign of an original logo done back in the 90’s. The logo has become ubiquitous throughout the Baltimore region including in their Gaga conceived and produced TV commercials where a recent spot featured Advance President Jeff Elkin cutting it up with Ravens players.